OCDC is the apex organization of nine cooperative development organizations from the USA: ACDI-VOCA, Global Communities, Communications Cooperative International, Cooperative Resources International, Health-Partners, Land O’Lakes International Development, NCBA-CLUSA, National Rural Electric Cooperative Association International and the World Council of Credit Unions. 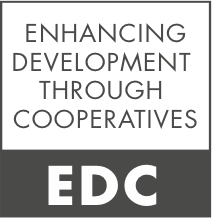 OCDC members have been development partners with the U.S. government for more than 40 years and implement the largest USAID portfolio of cooperative development programs across Africa, Latin America and Asia. 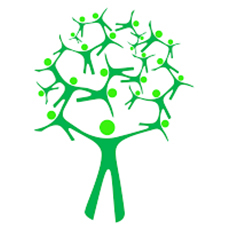 The mission of ICRG is to research, formulate and share effective strategies for the development, performance and growth of cooperatives in developing countries. CIAT is one of the 15 research centres of the CGIAR and counts multiple offices, programs and partners across Latin America, Africa and Asia. DAPA provides decision makers in the private and public sectors with novel, accurate information in interactive forms, together with easy-to-use methods for analysing agricultural systems at all levels from farm to continent. Climate Change, Ecosystem Services and Linking Farmers to Markets. Through EDP, and with the support of the Ford Foundation, OXFAM joined this partnership in August 2015, with the specific objective to sponsor and facilitate action research for guiding the rise of commercially viable smallholder enterprises. EDP invests where others don’t go and where the potential for social impact and the empowerment of women is highest. EDP provides an intelligent mix of loans and grants to small and medium enterprises throughout the developing world, helping people to work their way out of poverty. But it’s not just about providing capital. It’s about identifying business opportunities and helping entrepreneurs develop and implement viable business plans. It’s a pioneering, business-based approach to development. It combines OXFAM’s international presence and experience with support and expertise from a board of successful business people. CTA is a joint international institution of the African, Caribbean and Pacific (ACP) Group of States and of the European Union (EU). CTA’s mission is to advance food security, resilience and inclusive economic growth in Africa, the Caribbean and the Pacific through innovations in sustainable agriculture. CTA sees smallholder agriculture as a vibrant, modern and sustainable business that creates value for farmers, entrepreneurs, youth and women, and produces affordable, nutritious and healthy food for all. Enhance multi-stakeholder participation in agriculture and rural development policy processes and agricultural value chain development.